On Tuesday 4 September a man aged in his seventies received a telephone call at his Sylvan Avenue home stating that there were drain problems in his area. Two men visited the victims home the following day and used camera equipment and a laptop to show him that there was a blockage which would cost £5,000 to repair. The victim said that he would need to visit his bank and the men agreed to return at 5pm to collect the money. Two men from Dorset were subsequently arrested on suspicion of offences including fraud by false representation. They have been released from custody without charge, but remain under investigation. Investigating officers are linking this incident with another in the New Forest. which we have previously issued an appeal about. A woman was charged over £2,500 for drainage work in Lymington after receiving a cold call at her St Thomas Park home on Monday 3 September. Consider joining or setting up a No Cold Calling Zone or Neighbourhood Watch scheme. Report any suspicious callers or activity to the police immediately. Keep an eye on elderly or vulnerable neighbours, friends and family. If you want to report any suspicious activity please dial 101 or call Crimestoppers on 0800 555 111, where information can be left anonymously. In an emergency always dial 999. Isle of Wight Council's Trading Standards team also offer advice via their website or by calling 01983 821000. 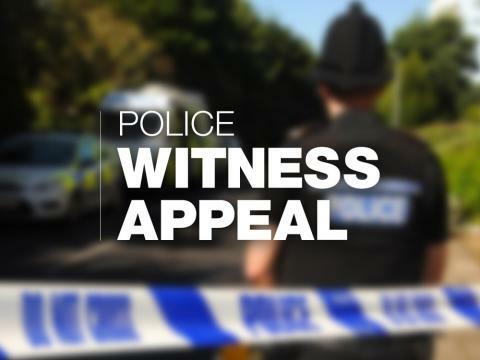 Anyone with information about either incident or who saw anything suspicious in the area can contact PC Scott Carine at Newport Police Station by calling 101 quoting 44180335848, or call Crimestoppers on 0800 555 111, where information can be left anonymously.